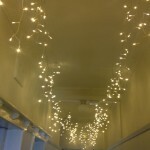 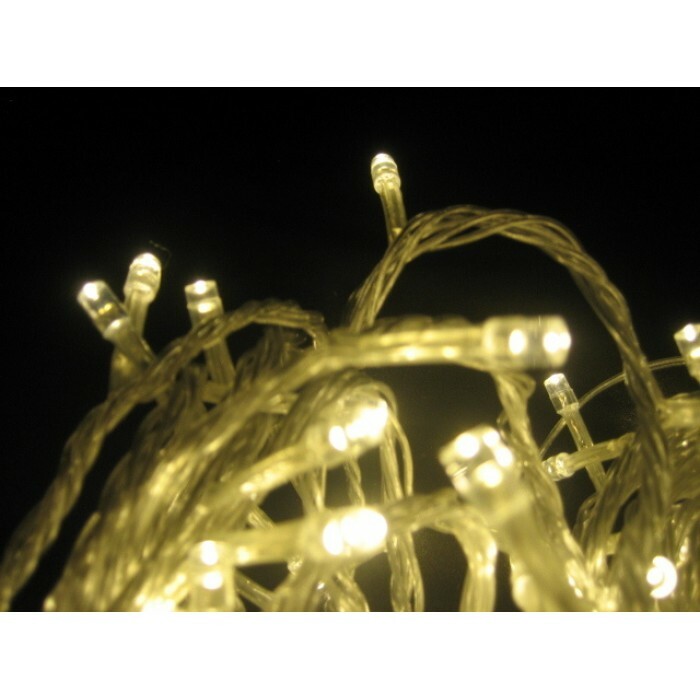 These super bright LED icicle lights can be safely used indoor and outdoor. They remain cool to the touch when lit and withstand most wind and rain. 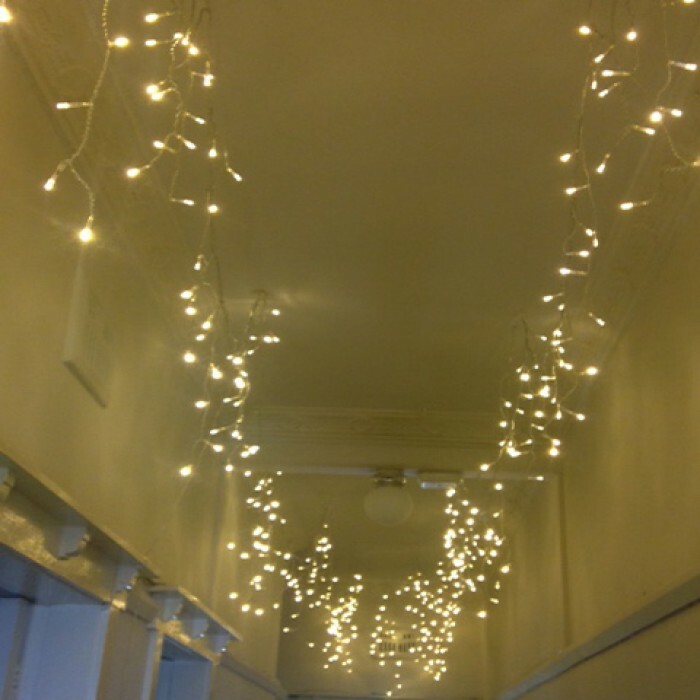 These 200 LED white icicle lights include 24V BS plug transformer, IP44 8 function memory controller, 8.5m approx light length, 11.5m total cable length (clear cable). 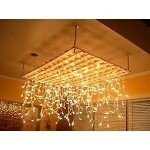 These Warm White colour LED icicle lights are probably the best you can buy. 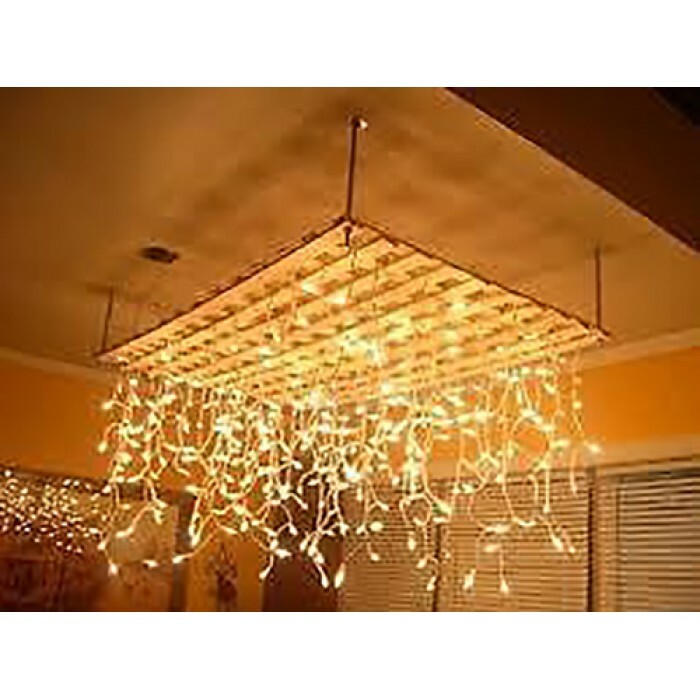 These look fantastic LED's are 3 times as bright as normal bulbs, and they will last 10 times as long (25,000 hour average bulb life). In addition they will save you 90% on electricity compared to traditional icicle lights.